We know that money can’t buy everything. Abstract things like love, happiness are beyond money. However, psychological research in recent times has come up with certain interesting facts which will force us to refine our understanding about the relationship existing between money and happiness. 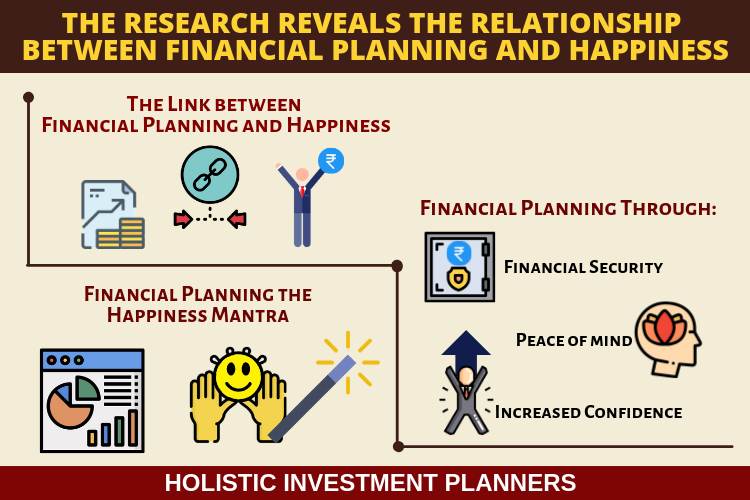 The interpretation of the results of such research, leads us to believe that for an individual there exists a definite link between level of happiness and financial planning. Through the analysis of primary data, it has been proved that people who opt to consult a financial planner feel positive about their financial well-being. This positive feeling breeds optimism bringing about overall happiness. So financial planning has its emotional benefits after all. A well laid out financial plan helps in a number of ways. It facilitates achievement of the core goals and lifestyle objectives. A well-structured financial plan takes into accounts all eventualities. Financial plans help by way of planning for major expenses of life like marriage, education, retirement benefits, medical treatment, etc. They also advise about the investment route that one should take in order to reach these goals successfully. It is common for people to worry as to whether they are saving enough to buy a house or if they have enough financial resources to take care of their children’s education and later their marriage. It also happens that after having completed the productive years of life people find that there is not enough money to sustain them through their retired life. This can be an agonizing and worrisome feeling. When a financial planner is consulted, they look in to the requirements of a particular individual and/or family and make an assessment of the expenses and savings required to be made. Their professional approach and advice can help create a balance which provides a cushion for unforeseen events and eventualities to the greatest extent possible. Peace of mind can be looked upon as a stress free life. Unnecessary anxiety about unknown expenses can cause mental peace to be disturbed. A financial plan will keep you away from these disturbances. 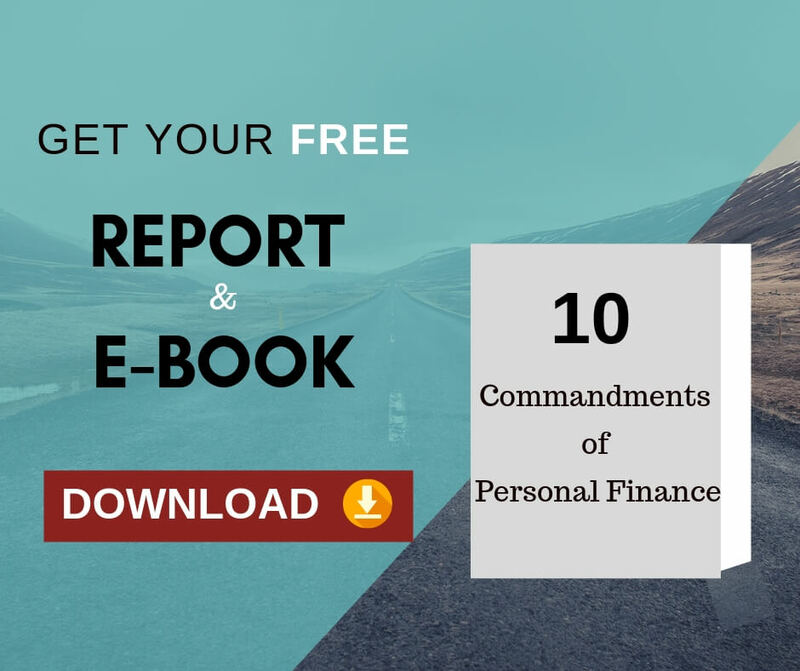 Financial planners nowadays are aware about the ways and means through which they can better serve individual clients by adopting a more knowledge oriented approach. This helps individuals in attaining financial control and security which lead to significant emotional benefits. The role of financial planner thus is not only limited to providing proper financial guidance but also as a well-being and happiness mentor. Personal happiness depends on a variety of factors but the end point is about being in a mental state which is free of worry. Financial security gives a lot of reassurance as it can provide enough cushions for exigencies. If a person with financial plan falls ill , he still does not need to worry about the expenses coming up as he will surely have a good medical plan to take care of hospital expenses which will not eat into the savings elsewhere. When a plan works as scheduled, it is more likely that people will rely on its efficacy and utility. This will build confidence and will thereby provide the necessary confidence that sudden expenses can be effectively tackled. It goes without saying that happiness has its root in satisfaction. This satisfaction is experienced when all the core goals of life and the lifestyle objectives are met. In essence financial planners can take up the challenge of adopting a holistic approach to planning whereby individuals can traverse the path of emotional wellbeing and overall happiness. Previous Previous post: Can Low Cost Providers Offer the Best Financial Planning Services? 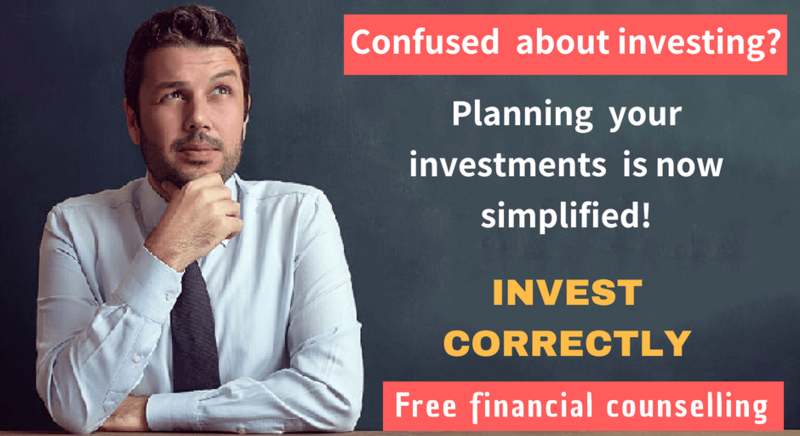 Next Next post: How Accrual based debt funds are different from Duration based debt funds?